To support the American Red Cross, the Canadian Red Cross and the Mexican Red Cross, Red Heart is making a $250,000 donation in 2016. You can help too! 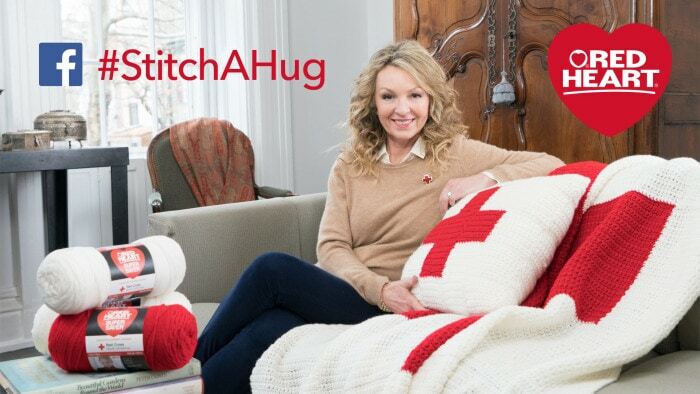 With the #StitchAHug campaign. 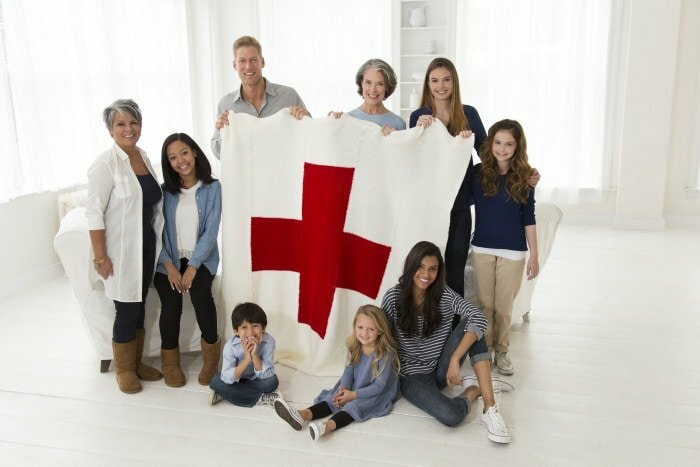 Red Heart Cares Blanket and donating it to your local Red Cross! You can also offer support by purchasing your yarn from Red Heart. Each purchase you make, helps support the Red Cross by providing emergency shelter, water, food, first aid, as well as, other disaster relief services. Red Heart has graciously provided this yarn prize-pack to be given to one of my lucky readers! 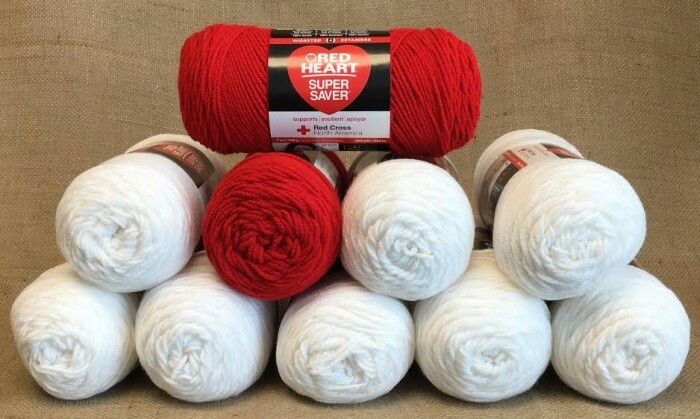 This fantastic prize-pack includes all the yarn you will need to make the Red Heart Cares Blanket. This giveaway is open to: North America (Canada, USA, Mexico) where allowed by law. 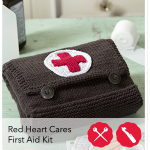 Visit Red Heart to download your free crochet (and knit) patterns for the Red Heart Cares Blanket, Red Heart Cares First Aid Kit and the Red Heart Cares Pillow. Get your patterns from Red Heart dot com. 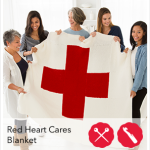 You can also access The Red Heart Cares Donation Guide which includes the specific requirements from the blankets being donated, as well as, the link to locate your local donation centers.